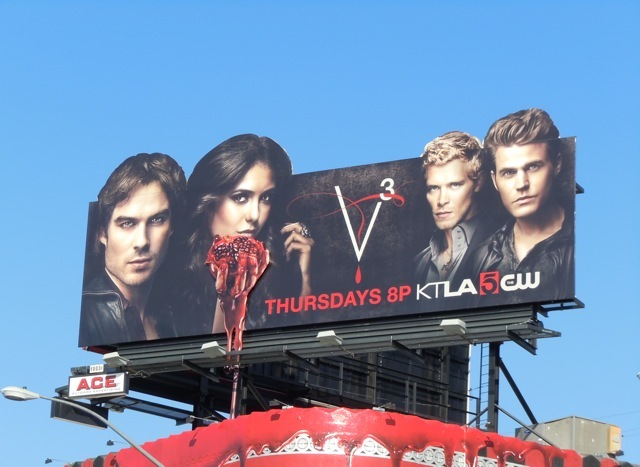 The Vampire Diaries brought the raunch and sexual innuendos for its second season billboards and for its third season it looks like it's bringing the gore, with this fantastic new billboard along L.A.'s Sunset Strip. 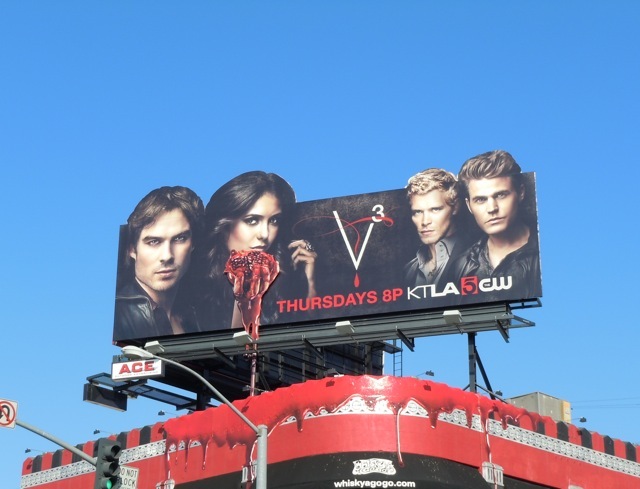 Nina Dobrev holding a dripping pomegranate resembling a beating heart and the blood oozing down from atop the Whisky A Go-Go club really does make for a dramatic and arresting visual. This cool V3 ad creative was photographed on October 22, 2011, where it was installed the day before just in time for the Halloween season. 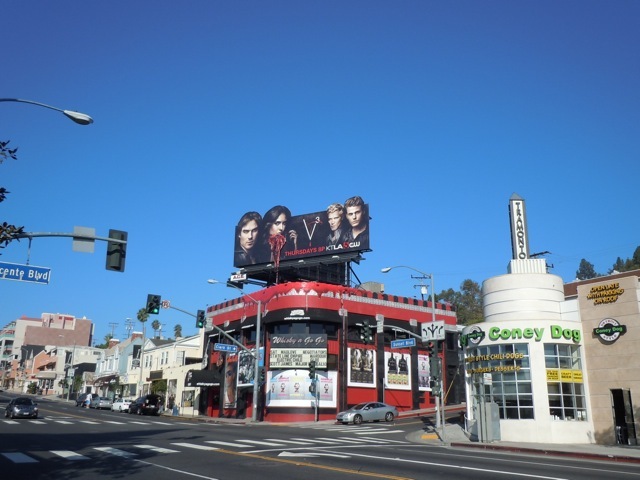 If you're a fan of the show, be sure to check out the season two billboard for The Vampire Diaries and the mid-season Catch VD ad campaign.